Sting.com > News > Sting.com Fan Club Exclusive – Win Tickets To Special Birthday Concert in NYC! 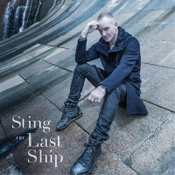 On Wednesday, October 2, Sting's longstanding tradition of hosting special events for his official fan club continues with an exclusive performance on his birthday featuring songs from the new album, The Last Ship, at The Public Theater in New York City. Tickets for this special performance are not available to the general public, but Sting.com is offering 100 free tickets for members to attend, selected via a random drawing. You can enter from today, and applications for tickets may be made from now until midnight EST on Friday, July 19. To enter, members must login and complete the entry form... THE APPLICATION PROCESS HAS NOW CLOSED.